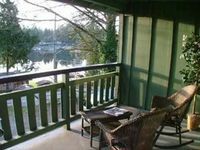 Property 53: Original Shawnigan Lake Cottage with GORGEOUS LAKE VIEWS! Property 67: Spectacular ocean views. Private beach. Abundant Wildlife. Winter stormwatching! Property 69: Walk off of the ferry and enter your Gulf Island Getaway. Children and pets ok.